Here's one of the superb new online slots from Eyecon gaming which you can play. There are many times when we all want to escape from reality and imagine ourselves as mystical beings with the power to gain whatever we desire. Whether it would be a valiant knight, a magical mage, or even a courageous elf, we want to dive into a game where we know that there's a big chance of making a lot of winnings. 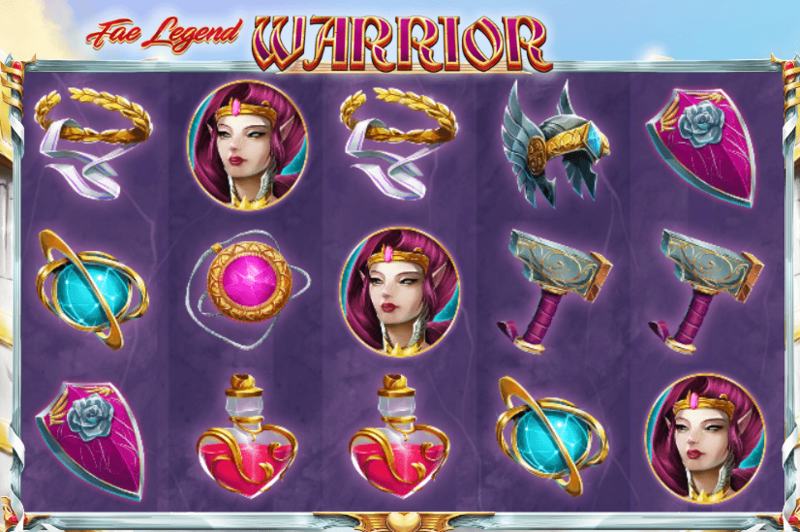 By the developers of Eyecon, Fae Legend Warrior has become one of the top-leading online slot games where you dive into a fairytale world filled with mystical creatures and massive amounts of fortune. And if you're familiar with Eyecon, you can be sure that you won't just feel like you're playing an ordinary uk slot games from your smartphone, but involved in a magical world where fairies roam free. The people behind Eyecon, also known as Eyecon Pty. Ltd., know exactly how to make their clients feel both entertained and rewarded at the same time. Established in Brisbane, Australia, just a little over 20 years ago, they have the big goal to get their games simplistic and yet exciting enough to get new players to feel the experience of their casino games, as well as existing gamers to return to them. With other renowned products such as Pachinko, Secret Garden, and Perfect Pairs Blackjack, you can be sure as an avid online slot gamer that you will feel like you're in a different reality when playing Fae Legend Warrior. If you love promo's, get the latest online slot bonuses now! On this 5 reel, 25 pay line that's coated in fairy dust, every player can be sure that Fae Legend Warrior can grant them with all of the wishes that they truly desire. But the game story doesn't just provide the players with a linear winning scope like on the usual slot games that they'd have fun on at their favourite vendor. The fairies do like to turn the tables from time to time, and mesmerise the players with a variety of sparkly WILDS and SCATTERS that can grant them more than what they've originally put down as their stake when they see them multiple times on the reels. Redhead Fairy SCATTERS: they activate the BONUS FEATURE that adds a 100x multiplier to your winnings when 3 of them appear on your reels. Key SCATTER: unlocks 25 free spins with a 3x multiplier as well as a 2x multiplier as a WILD symbol. How could you not believe in fairies after you've finished playing this game and saving it one of your favourites on your browser?! 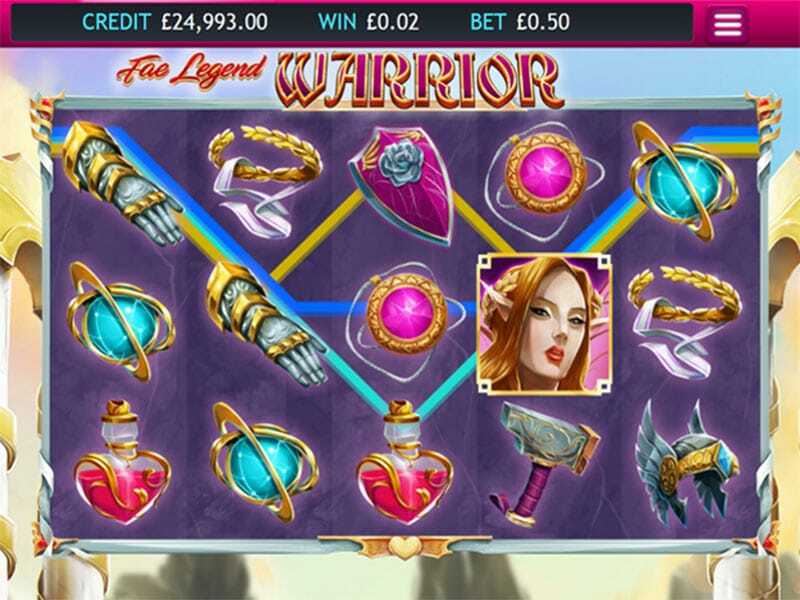 Fae Legend Warrior is an online casino slot game where all the players get entertained by the ethereal narrative that is involved, as well as all of the gorgeous looking fairies that know how to wow you with their bedazzling looks! With all of the special icons and bonus features that can multiply your winnings and leave you grinning at the end of the day, it's no wonder that this is a game that Eyecon should be proud of developing. You still don't believe in fairies? Open your heart to them today and see how they can make all of your dreams come true with their impressive RTP rate! If you enjoyed Fae Legend Warrior then you might also like Cyrus The Virus.